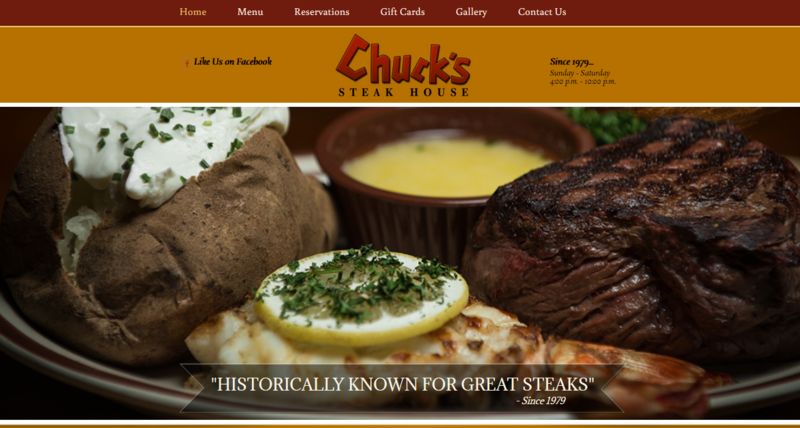 You may want to change up your dinner plans after visiting our newest website for Chuck’s Steak House in Myrtle Beach! Chuck’s Steak House is a traditional steakhouse offering multiple types of steak such as a ribeye or filet accompanied by a fresh salad bar. However, they also offer seafood entrees, burgers and a variety of appetizers. The menu is sure to have something for the whole family! We launched their new website on the 24th of September. This site features responsive design, a full restaurant menu, reservations information, as well as a full photo gallery. All pages of the website are easily viewable by smartphone or tablet, making it easy to search the menu or contact the restaurant directly from your handheld device. One look at this mouthwatering photo gallery and you may just drive down to Chuck’s Steak House right now! If your restaurant is in need of a revamped, more modern look, please contact Team ICND today!